Have you always dreamed of checking Bali off of your travel bucket list? Well now you have the chance! Travel with me and a group of awesome travelers to Bali + the Nusa Islands from May 25-31, 2019 and experience the incredible islands for yourself! 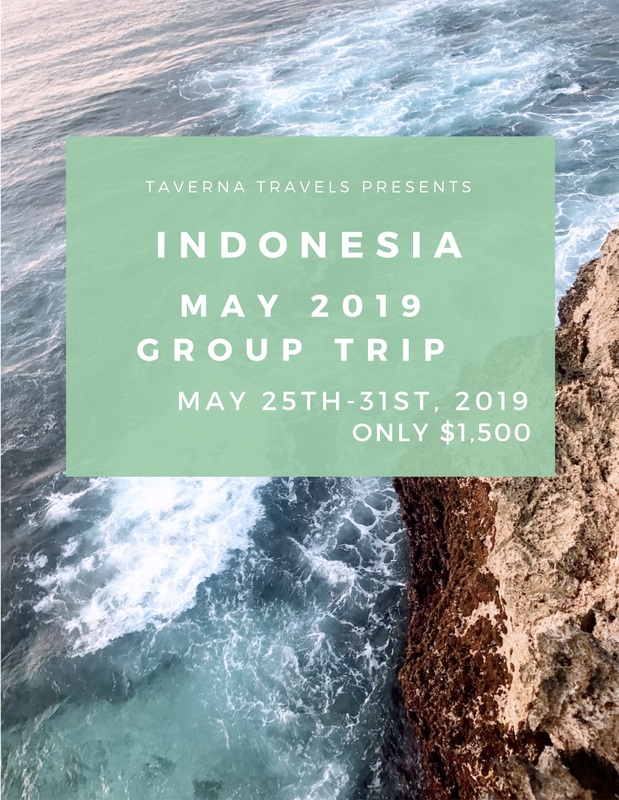 This trip will take you around Bali and the neighboring Nusa Islands as we hike volcanos, swim with manta rays, catch perfect sunsets (and waves) with a Bintang in hand, and embrace the local cultures through temple visits, cooking classes, and traditional dance shows. Prices start at $1,500 for the 6 night adventure! Price for full trip is $1,500. A non-refundable 40% deposit is required to secure your spot on the Bali Adventure! Full trip fees due no later than 30 days before trip start date. Prior to submitting payment, please make sure to submit a signed copy of the following documents: Booking Terms & Conditions and Travel Waiver.